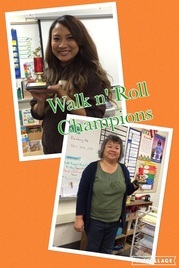 ​March AND April Walk n' Roll Champions! 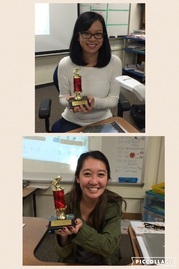 are the March AND April Walk-n-Roll Champions. 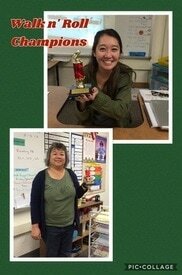 three months in a row for Mrs. Pastor and four months in a row for Mrs. Go! 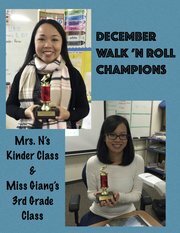 Each class gets to keep the Walk n' Roll traveling trophy for one month. 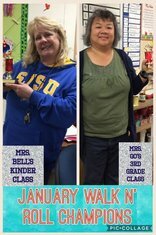 Keep walking or biking to school, Monarchs!